Will you be better off financially if Trump or Clinton is elected tomorrow? My take here! 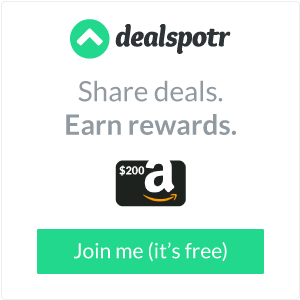 Dealspotr: save serious money on stuff you buy, and earn money by sharing deals you discover with others and through spotting potentially hot deals. Too good to be true? Nope! Nearly half of respondents to a 2014 U.S. Federal Reserve survey said they’d have to borrow, sell something, or otherwise scramble to cover a $400 emergency expense. Is one person better, smarter, or more capable than another solely because he or she owns more money? Donald Trump thinks so. Banks have been paying effectively zero interest on deposits for years. But how would you react if your bank started charging you a fee to keep money on deposit? It could happen. Did you get an email reminder to review your annual Social Security Statement online? Did you wonder whether the reminder was legitimate? I did. And do.